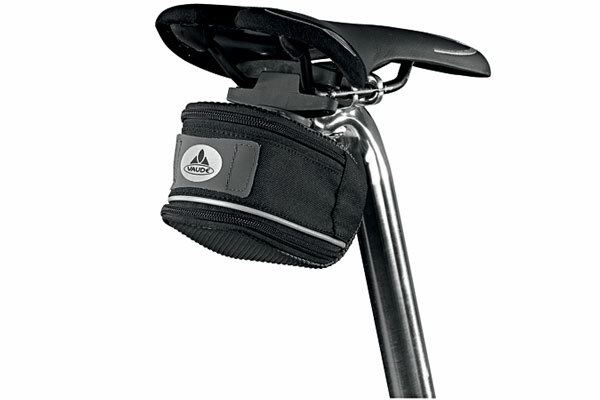 The Velo Orange Model 3 Touring saddle looks familiar doesn’t it? Well, it should. It’s very similar to a Brooks B-17. But, it does have some refinements and differences that may get you to take another look at what is a really fine piece of leather saddle production. Over a hundred years ago someone figured out what arguably is the best leather saddle design for touring. So, what makes the Velo Orange Model 3 Touring different? First, the rail length is longer – about 10mm. This gives you more setback or nose forward, if either of those two variables are necessary. This may be true when trying to dial in the saddle position on steeper angled frames, especially those with “track” geometries like some single speeds. Second, the model three has a pebbled surface that provides enough texture to prevent the slipperiness that some experience with smooth leather saddles. Third, it comes with pre-laced tensioning that will keep the saddle from flaring over time. Another nice feature is the tensioning fitting that uses a standard hex key. So, while the Velo Orange Model 3 Touring is similar to other manucturer’s designs, it does have it’s own refinements and features. And, for those that have arrived at the decision to go with a leather saddle and need additional set back or nose forward, this could be the saddle for you. WARRANTY: Defective parts/accessories can be replaced for one year from purchase date. You must show proof of purchase, as the warranty period starts on the date you bought it. This limited warranty applies only to the original buyer for frames purchased from Velo Orange, it’s authorized dealers, and it’s distributors. I have decided to try the VO model 6 saddle I received. We'll see how it works out. Not happy to have received a different model than the one ordered, and shipping took 10 days. Will be reluctant to order again.